1. 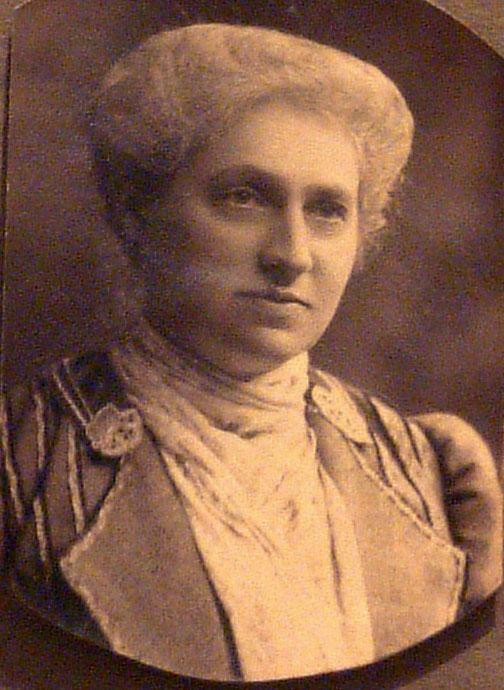 Ruby Charlotte WALLER, daughter of George Edward WALLER (1863-1955) and Emily Charlotte WILLIAMS (1863-1949), was born on 21 February 1891 in Camberwell. She was an Outfitters' Manager. 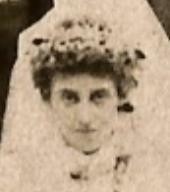 She married Richard John EDWARDS on 7 January 1914 in St. George's Presbyterian Church, Willesden Lane, Brondesbury. She died in 1972. .. of 167 Brondesbury Park. Eileen Dorothy EDWARDS (1914-1978). Eileen was born on 21 December 1914. She died in 1978. Cyril Llwellyn EDWARDS (1916-2004). 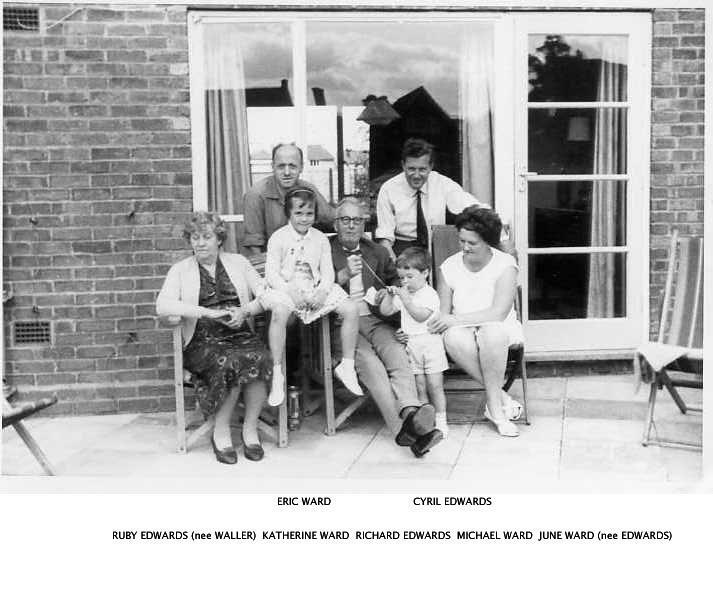 Cyril was born on 14 May 1916 in 78 Hanover Road, Brondesbury Park, Willesden. He married Josephine Mary TORRANCE on 14 September 1963 in Torre Church, Torquay, Devon. He died on 20 September 2004 in Torbay Hospital, Torquay, Devon. June EDWARDS (1925- ). June was born on 28 June 1925 in Willesden, London. 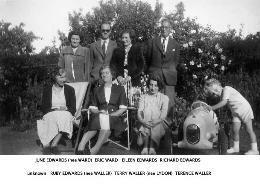 She married Eric WARD on 22 July 1950 in St. Albans Church, North Harrow. 2. George Edward WALLER, son of Walter E WALLER and Elizabeth GRANT, was born on 9 November 1863 in Southampton. He was an Outfitters' Manager. He married Emily Charlotte WILLIAMS in September 1885. He died on 4 February 1955. Unfortunately no photograph of George appears to have survived. At various times of his life he worked as Clothier, Boot Warehouseman, and - by 1914 - as Outfitter's Manager. He and his wife Emily Charlotte were, in 1921, and when George was in his late fifties, termed "esteemed residents of Brondesbury [NW London]". It is not known why he left Southampton, where many previous generations of Wallers had lived, and made his home in North West London. He married a lady who had little in the way of prospects or connections, but who was known for her looks and been given the nickname "the Belle of Camberwell". Information on George is fairly scanty, and comes mostly from census entries and from his daughter Ruby's wedding certificate. George worked as an "Outfitter's Manager" and was later in life, together with his with wife (known as "the Belle of Camberwell") as "esteemed residents of Brondesbury (North West London). 3. 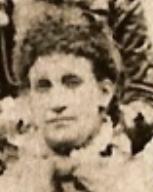 Emily Charlotte WILLIAMS, daughter of Chas WILLIAMS and Emily HURLOCK, was born on 3 September 1863 in Southampton. She died on 8 February 1949. Emily was known as "The Belle of Camberwell". George E A WALLER (1886- ) (known as 'Albert'). Albert was born on 18 July 1886 in Kennington, London. Emily Mabel "Girlie" WALLER (1888-1941). Emily was born on 13 March 1888 in Camberwell. She died on 19 May 1941. She was buried in Golders Green Crematorium. Vivian William Hurlock WALLER (1889- ). Vivian was born on 15 November 1889 in Camberwell. He married Gwenith May BURNARD on 31 December 1913 in St. George's Presbyterian Church, Willesden Lane, Brondesbury. Lilian Catherine Florence WALLER (1894-1901). Lilian was born on 4 May 1894 in Camberwell. She died on 2 September 1901. Charles Sextus Hodsoll WALLER (1898-1983). Charles was born on 19 December 1898 in Willesden Green, London. He married Kathleen BUSFIELD on 1 October 1938 in Church of St. Albans, Golders Green. 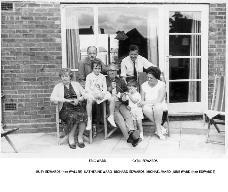 He died on 15 July 1983 in Summerlands Hospital, Yeovil. Ernest Walter WALLER (1901- ). Ernest was born on 17 August 1901. Irene Octavia WALLER (1903-1974). Irene was born on 13 January 1903. She married Victor Edward SHERLOCK on 12 October 1927 in St. George's Presbyterian Church. She died on 28 March 1974. 4. Walter E WALLER, son of Thomas Walter WALLER and Mary Ann UNK, was born circa 1840 in Southampton. He was a Cabinet Maker. He died on 9 August 1917 in Southampton. He was buried in Southampton Cemetery. He married Elizabeth GRANT. Walter, according to the 1871 census (when he would have been just over 30 years old), was working as a cabinet maker, following in his father's footsteps. At the time they cannot have had much money, as they were sharing their house with another family. By ten years later they had their own house. 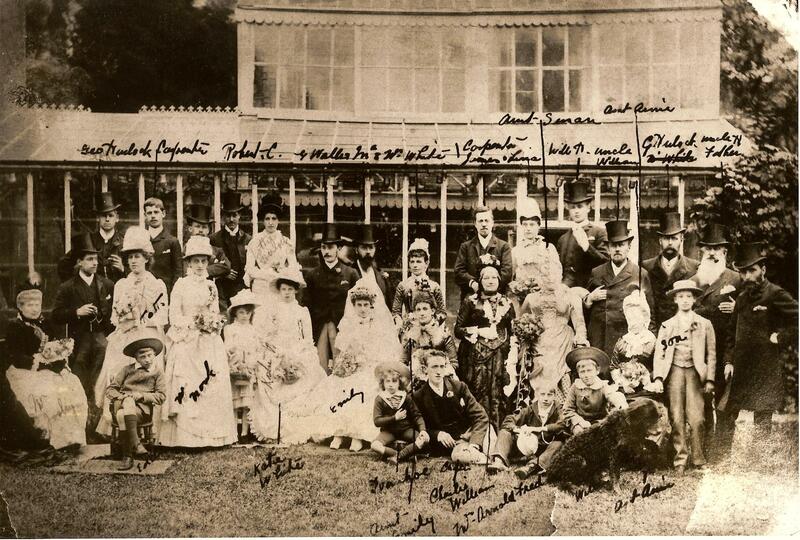 Walter's daughter Mabel (his third child) was still at home in 1891 (aged 19) and working as a tobacconist's assistant. 5. Elizabeth GRANT, daughter of unk GRANT and Mary UNK, was born circa 1839 in Nursling, Hampshire. She was a Laundress. She appeared in the census. Sadly, in the 1901 census, Elizabeth is listed as a pauper, aged 63. Walter Thomas H WALLER (c. 1862- ). Walter was born circa 1862. He was buried in Southampton Cemetery. 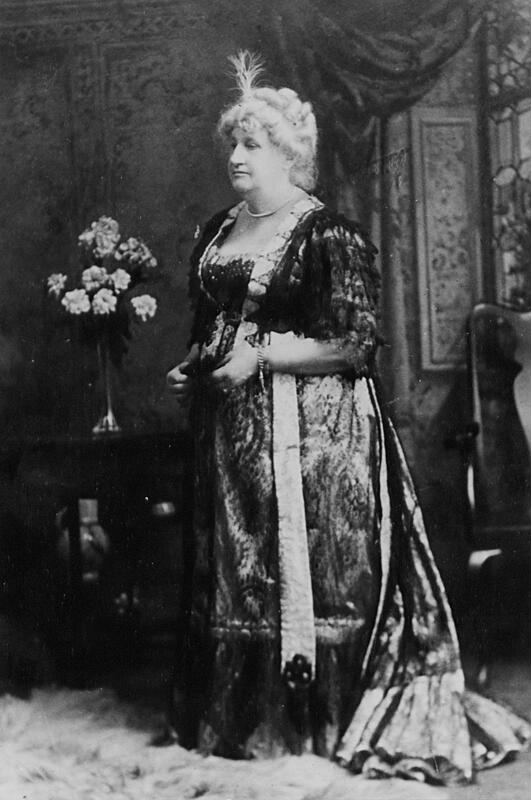 Mabel Mary WALLER (1872-1960). 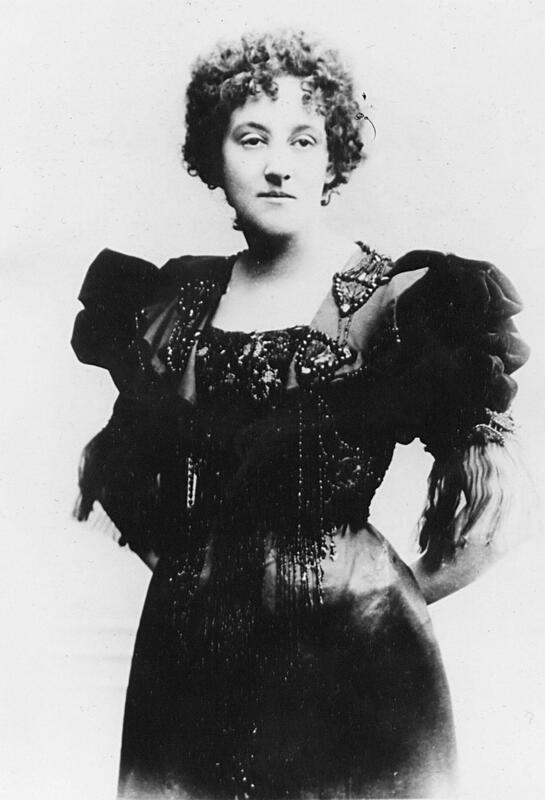 Mabel was born on 21 January 1872. She was a Tobacconist's Assistant. She died on 18 April 1960. She was buried in Southampton Cemetery. 6. Chas WILLIAMS appeared in the census. He celebrated his Bar Mitzvah. He was a Plumber's Turner (1863) Licensed victualler (1865) Silk Merchant (later). He married Emily HURLOCK. He died before 1871. 7. Emily HURLOCK, daughter of George William HURLOCK and Charlotte HODSELL, was born circa 1836. She was baptised in 1836 in Deptford, St. Paul. She appeared in the census. She celebrated her Bar Mitzvah. She died between 1920 and 1929. She married James CARPENTER. On 1861 census, is shown as living with parents, George and Charlotte, + sister Charlotte in Deptford. Her age is given as 23 and she is unmarried. Charlotte's age is given as 16. It is in this census that her father's occupation is given as "Railway Constable". In this same 1871 census Emily's parents George and Charlotte are living with their son and daughter William (future mayor of St. Albans) and daughter Charlotte, + Emily's own daughter Emily C Williams. James Carpenter (presumably Emily's future husband) is also a household member, listed as an "assistant". On 1881 census, is living with second husband James Carpenter at 3 Broadway, Deptford St. Paul. At the time they had one visitor, a lady from France, and one domestic servant. The birthplace of the three sons is given as Camberwell. Quite possibly known as "Onez". Emily (possibly known as Onez) was an interesting character who married twice, to Chas. Williams and then to James Carpenter. She had two children with Chas. and three with James. At the age of 15 she was apprenticed to a dressmaker, but it is doubtful whether she ever practised professionally. Apparently, she recalled walking to work in her brother's [William's] shops in Walwroth Road from the family home in Deptford. Emily's early life seems to have been rather a chequered one. Both sons she had with James Carpenter died in France - Ivanhoe in 1916 and his elder brother, James Jr., in 1917. But the latter had married Hilda Shries and there were two sons of this marriage to sonsole Hilda and family. One of these was the late Edgar Carpenter. It is not known what happened to Emily's first husband, but Emily definitely lied about her age at the time of her second marriage; the missing five or so years was discretely made up over the next 30 years or so - who knows whether the lie was really necessary to get Emily her second husband?!? Charles Frederick WILLIAMS (c. 1865- ). Charles was born circa 1865 in London, Newington (Walworth, Surrey - 1881 census). He was a Commercial Traveller. 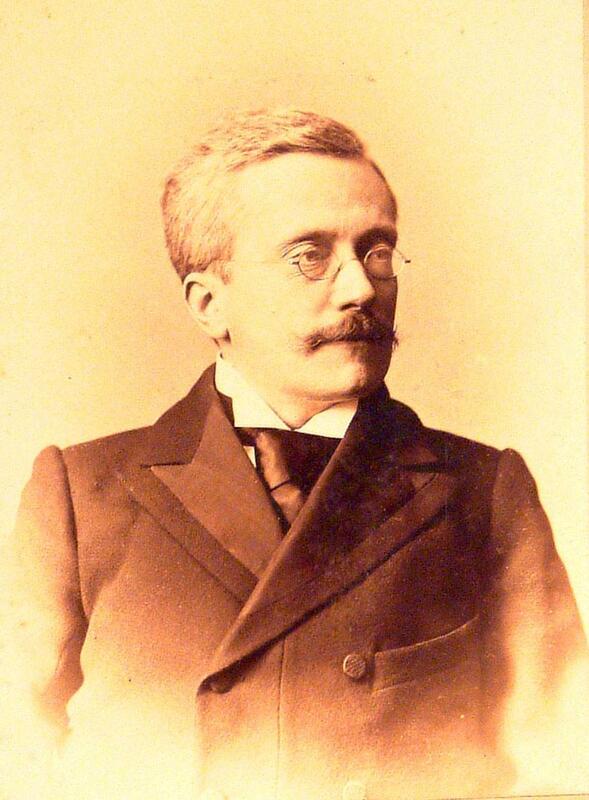 He married Marie Hortense COUVRAT in 1892. William H CARPENTER (1875?- ). William was born in 1875 (calculated). He was a Boot Shop (Bookshop?) salesman. James Edward Jr. CARPENTER (1876?- ). James was born in 1876 (calculated). He was a Commercial Traveller. He married Hilda Maude SHIRES in 1917. Alfred Ivanhoe CARPENTER (1880?- ). Alfred was born in 1880 (calculated). He was a Builder's Clerk. Bombadier. He was a Bombadier. He died in The Somme - blown up.